Misty Silhouettes during sunrise in the forest of estate Landgoed Geijsteren, Geijsteren, Netherlands. Click here for more information about photo 'Misty Silhouettes'. 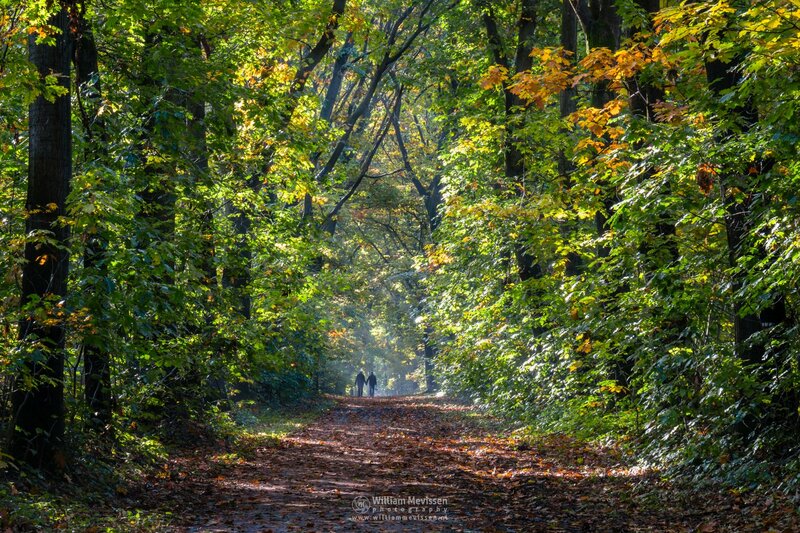 Enjoying autumn on a morning stroll through the forest at estate Landgoed Geijsteren, Venray, Netherlands. Click here for more information about photo 'Enjoying Autumn'. 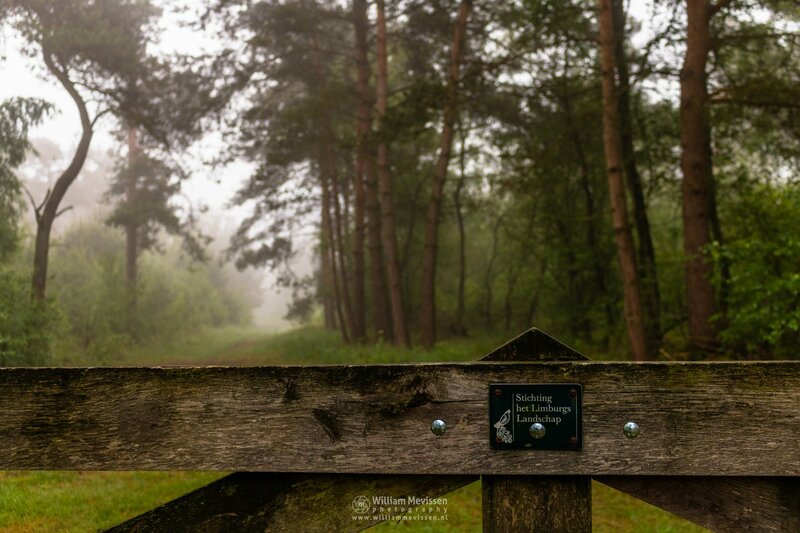 Gate with sign Stichting het Limburgs Landschap on a misty morning at estate Landgoed de Hamert (Wellerlooi, Netherlands). 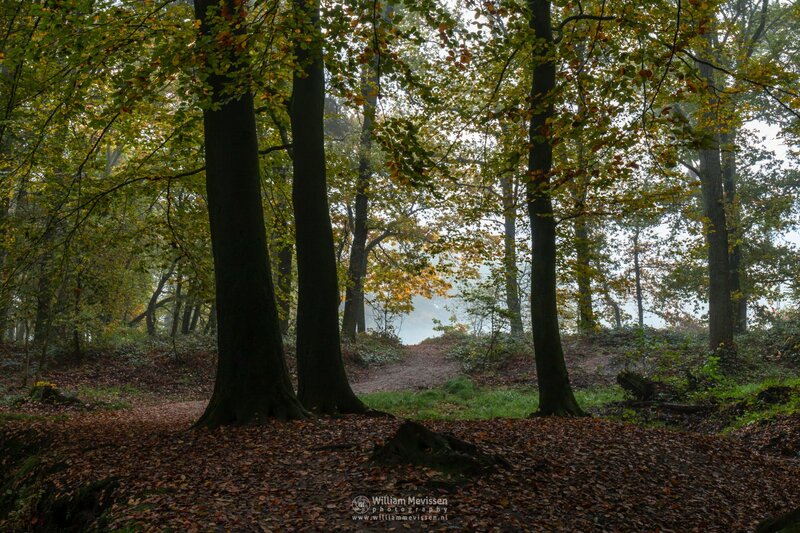 Click here for more information about photo 'Stichting het Limburgs Landschap'. You can also listen to the sounds of nature (recorded at same location and time) when you place your mouse pointer over the music note or click the music note on your mobile device. 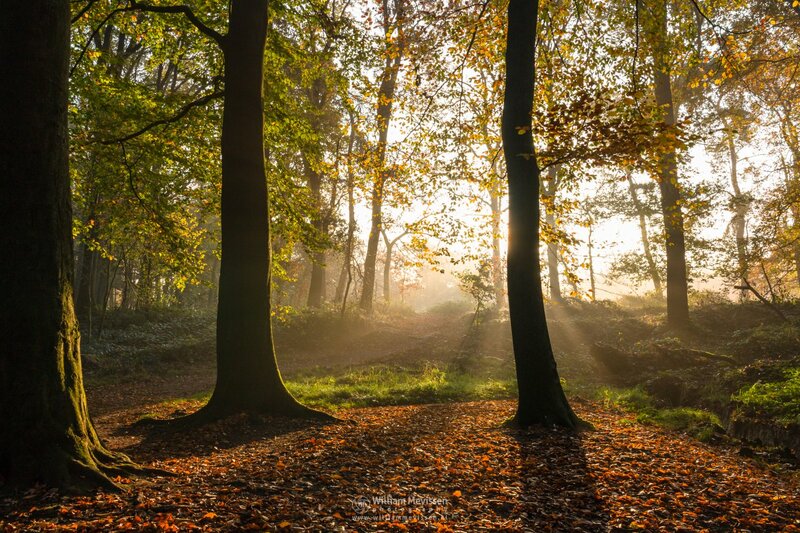 Sunlight in the forest on a misty autumn morning in the forest Ballonzuilbossen near the village Merselo (Venray, Netherlands). 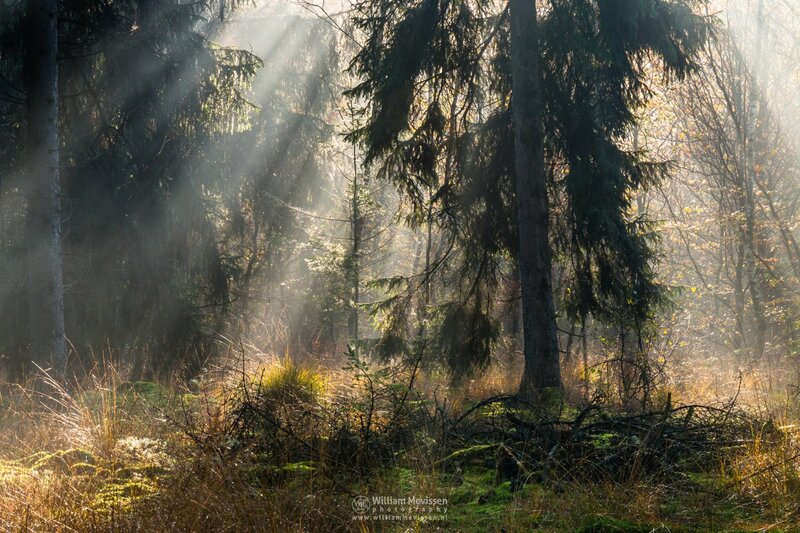 Click here for more information about photo 'Rays Of Light'. 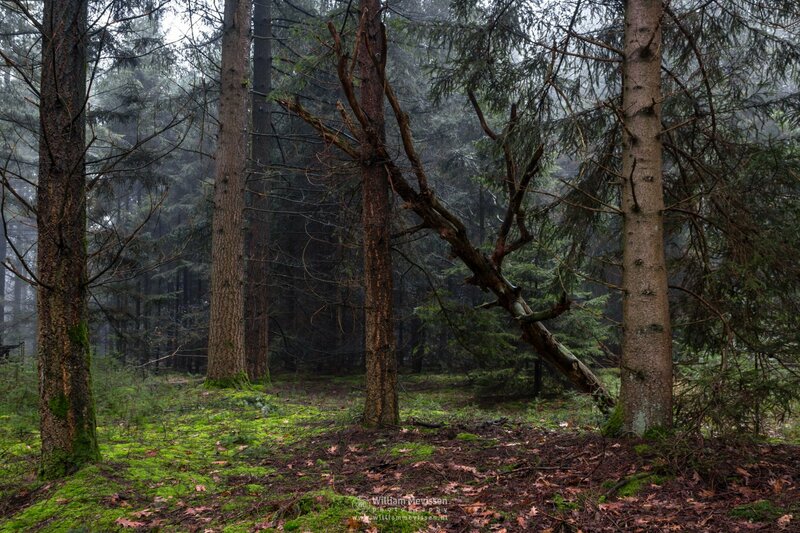 Fallen tree in the forest Ballonzuilbossen near the village Merselo (Venray, Netherlands). Click here for more information about photo 'I II N'. Autumn Mist before sunrise at estate Landgoed Geijsteren, Venray, Netherlands. Click here for more information about photo 'Autumn Mist'. Gate Into The Forest of nature reserve Eckeltse Bergen in National Park De Maasduinen (Nieuw Bergen, Netherlands). 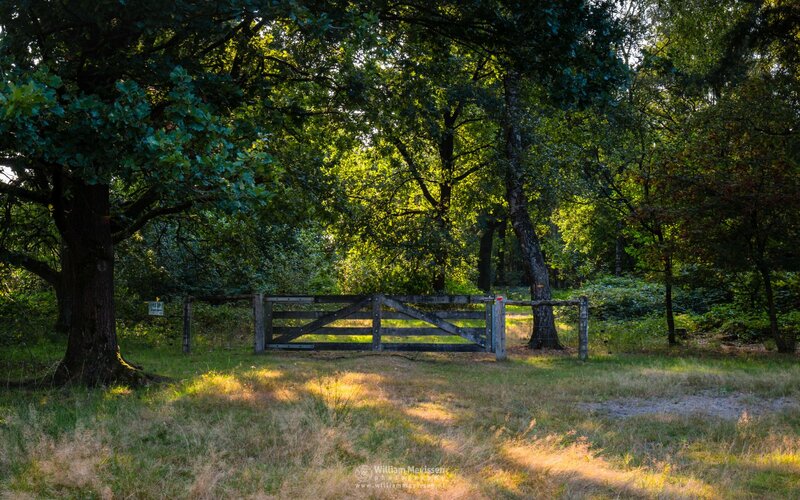 Click here for more information about photo 'Gate Into The Forest'. 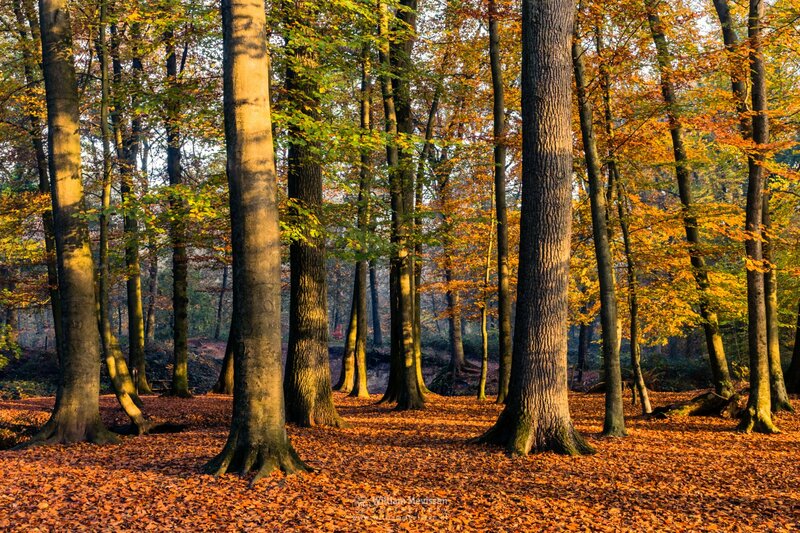 The autumn forest Ballonzuilbossen near the village Merselo (Venray, Netherlands). 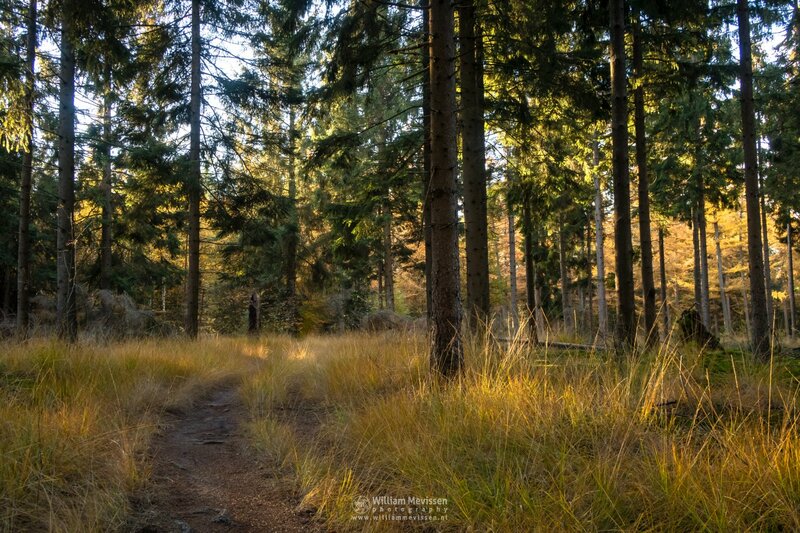 Click here for more information about photo 'Autumn MTB Trail'. Green Forest Path on a misty morning at estate Landgoed de Hamert, part of National Park De Maasduinen (Wellerlooi, Netherlands). 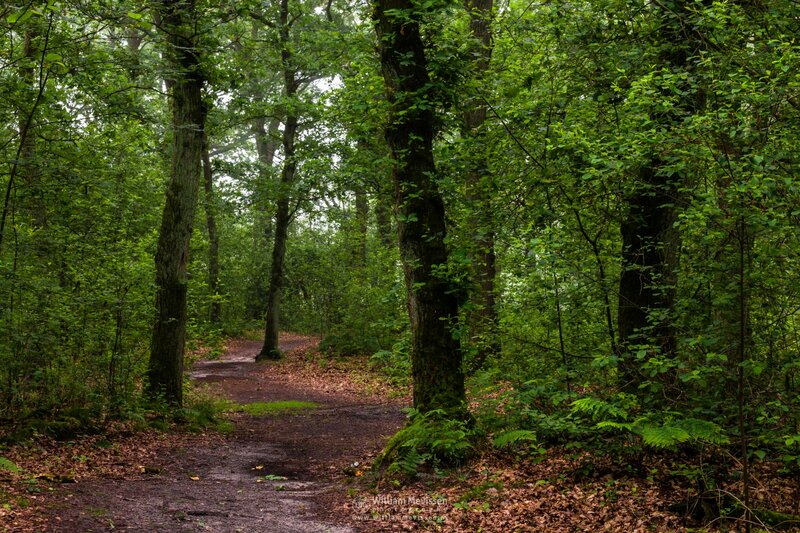 Click here for more information about photo 'Green Forest Path'. 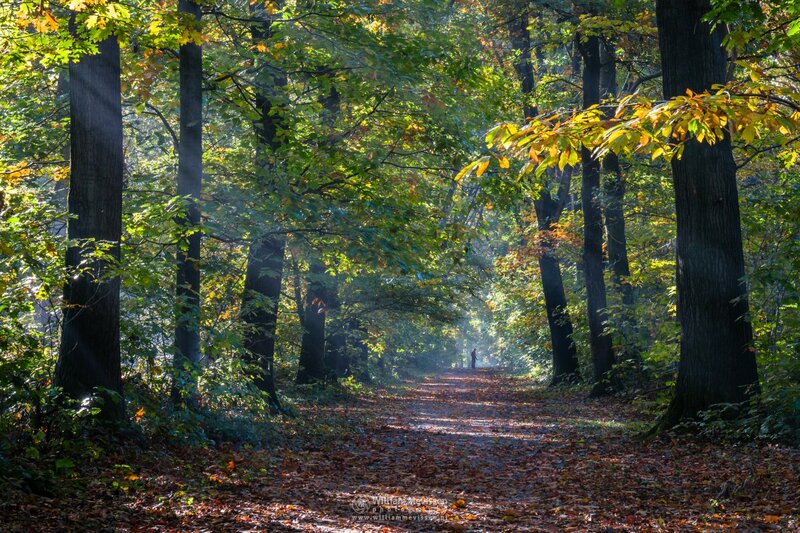 Checking the phone � on a beautiful autumn morning at estate Landgoed Geijsteren, Venray, Netherlands. Click here for more information about photo 'Checking The Phone'. 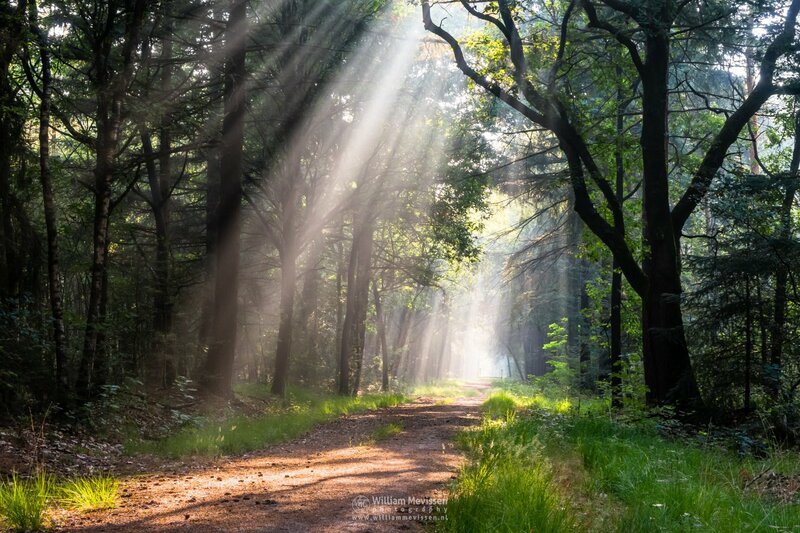 The enlightened path on a beautiful sunny morning in the forest Ballonzuilbossen near the village Merselo (Venray, Netherlands). Click here for more information about photo 'Enlightened Path'.